demonstrating how customers can purchase Boosted Daily Deals from on 11streets new storefront on the Boost app. 11street (www.11street.my), one of the leading online marketplaces in Malaysia, is tapping into the cashless payment trend through its partnership with Boost to offer shoppers a more convenient way to pay for their online purchases. This new collaboration is the first eWallet service to offer online shoppers the ease and security of both mobile payment and web payment options via QR code and pin entry on an eCommerce platform. Boost is a leading eWallet application with over 3 million users, and online and offline merchants located in over 40,000 touchpoints. Boost aims to revolutionise the way Malaysian consumers transact by creating a seamless payment experience without cash or cards. Acting as a virtual replacement for the physical wallet, Boost is designed to simplify the online checkout process on 11street. It eliminates the tedium of having to manually input payment and shipping information every time a customer wants to buy something online, ensuring an easy, fast and convenient checkout process and overall more rewarding online shopping experience - no more fishing around for the right combination of payment and loyalty card! To top it off, users can also enjoy instant shake rewards after each payment. Boost and 11street are also deepening their partnership through the integration of an 11street storefront on the Boost app. Boost users will now have instant access to the online marketplace by clicking on the “Online shopping” feature on the Boost app. Users will then be redirected to the 11street platform, where they can shop and make payment with their Boost mobile wallet. This integration of the Boost and 11street platforms allows users to seamlessly perform online shopping transactions without having to access multiple different apps. It is a calculated step towards building a more wholesome digital ecosystem. 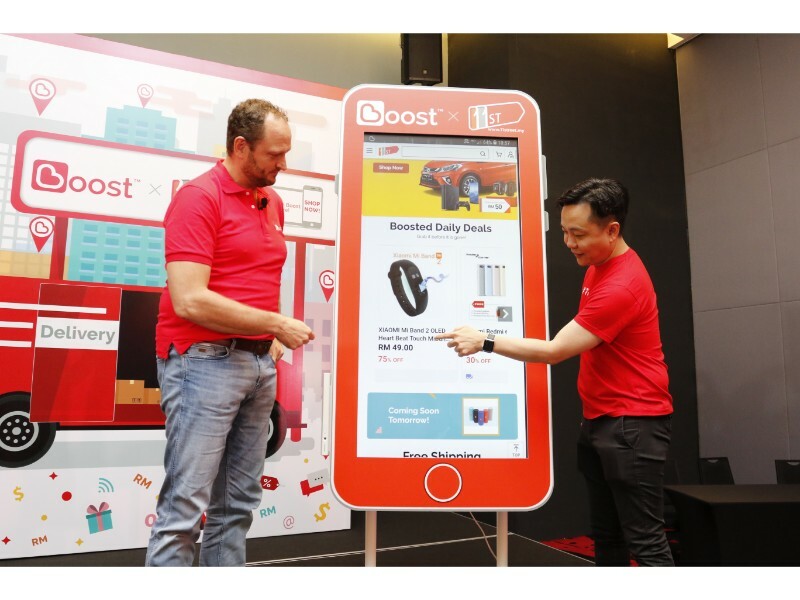 To celebrate this partnership, Boost and 11street will be offering customers ‘Boosted Daily Deals’ on exclusive items from 28 September onwards. Among the deals include smart LED televisions, mobile phones, speakers, power banks and many more. These ‘Boosted Daily Deals’ will be refreshed daily, and shoppers will get to enjoy attractive discounts and savings on new and limited items. Each customer is allowed to purchase one unit of each ‘Boosted Daily Deals’ and customers must be registered Boost and 11street users to make the purchase. On top of that, customers can also download the free shipping coupon each month, which are also up for grabs with purchases worth RM30 and above. All ‘Boosted Daily Deals’ items only available via the 11street storefront in the Boost app, while stocks last. 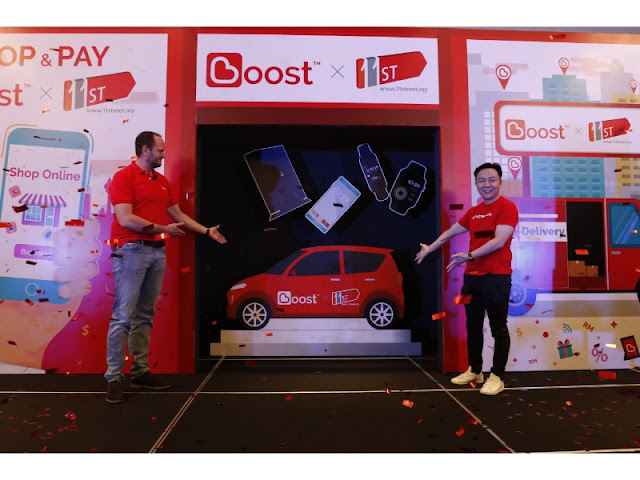 Apart from that, Boost and 11street is also launching a ‘Win A Car’ Campaign, where customers stand a chance to win prizes worth up to RM86,000, including 11street vouchers, game consoles, mobile phones and the grand prize of a brand new Myvi. Starting from 28 September to 30 November 2018, customers who shop on 11street via the website, mobile app, mobile web or the storefront on the Boost app and make payment with the Boost mobile wallet will qualify to be in the running to win attractive prizes. Each shopper’s first purchase over RM40 paid with the Boost mobile wallet will entitle the shopper to one entry. Users will also be entitled to three additional entries for every subsequent RM40 transaction made via Boost, to be in the running to win these amazing prizes. The more you shop, the more chances you can win! “We’re evolving with the technological advancements in our increasingly digital world to enrich and elevate our customers’ online shopping experience and provide them with better deals on products across the board. We want our shoppers to shop, but more importantly, we want them to continue having opportunities to earn and win while they shop, thus this collaboration with Boost. The grand prize of a car is just the first of many surprises we have in store for 11street and Boost users, so you’re going to want to watch this space.” CHEONG said. Be sure to shop on 11street and make your payment with Boost to be in the running to win attractive prizes. Shoppers can download the Boost app and the 11street app on the Google Play Store or the App Store. To find out more information on how the Boost app works on the 11street platform or app, visit the 11street FAQ page here. Boost is a mobile lifestyle wallet that aims to revolutionise the way consumers transact on a daily basis. Combining lifestyle needs and cutting edge digital technology, Boost strives to make transactions easier, faster, more secure & overall a more rewarding experience for consumers. 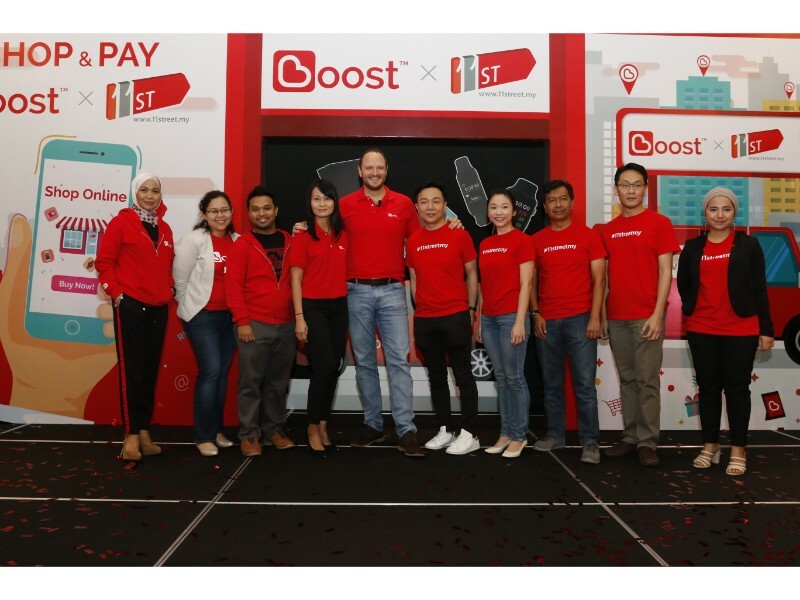 Boost officially launched in January 2017 as a platform that digitised one of the telco’s core services - the way prepaid users top up their mobile credit. Boost allows users to pay via their mobile phone at participating locations without the hassle of using physical cash or cards. More than 3.0 million Boost users can now pay at over 40,000 touchpoints nationwide. ○ The Online Shopaholics – 11Street, Lazada, Zalora, Fashion Valet and Shopee for cash vouchers up to 20% off.